Designed specifically for the UK audience, companies will be able to leverage PRWeb UK to increase their online visibility and get their message out to millions of people that matter to them. PRWeb UK, the online news distribution service from PRWeb designed to help UK companies raise their online visibility, is now available. To help them get started, all customers will receive a free standard press release distribution to media, search engines, news sites and consumers throughout the UK when they register their new account. PRWeb UK is specifically designed to help companies raise their online visibility - and communicate directly via the web to a limitless number of contacts, including journalists and media, search engines, bloggers and consumers. "As PRWeb UK helps transform traditional news distribution, companies will see the benefits of online distribution in both sales and awareness," says William Wagner, chief marketing officer of Vocus, Inc. "Designed specifically for the UK audience, companies will be able to leverage PRWeb UK to increase their online visibility and get their message out to millions of people that matter to them." PRWeb news releases are distributed through search engines, RSS feeds and directly to tens of thousands of journalists and editors through e-mail. Through partnerships with prominent news outlets such as the Press Association and search engines including Yahoo! and Topix, PRWeb news releases are available to millions of unique visitors throughout the UK. To get started with PRWeb UK and receive your free standard press release, go to http://www.PRWebUK.com. 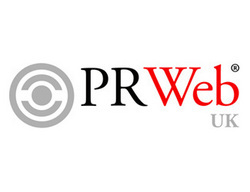 PRWeb is recognised as a leading online news and press release distribution service worldwide. Since 1997, PRWeb has been changing the way businesses, marketing departments and public relations firms think about press releases. PRWeb was the first company to develop a distribution strategy around direct-to-consumer communication and to build and offer a search engine optimised platform for press release distribution. PRWeb, is a wholly owned subsidiary of Vocus, Inc., a leading provider of on-demand public relations management software. For more information please visit http://www.PRWebUK.com. Vocus, Inc. (NASDAQ: VOCS) is a leading provider of on-demand software for public relations management. Our web-based software suite helps organisations of all sizes to fundamentally change the way they communicate with both the media and the public, optimising their public relations and increasing their ability to measure its impact. Our on-demand software addresses the critical functions of public relations including media relations, news distribution and news monitoring. We deliver our solutions over the Internet using a secure, scalable application and system architecture, which allows our customers to eliminate expensive up-front hardware and software costs and to quickly deploy and adopt our on-demand software. Vocus is used by more than 3,300 organisations worldwide and is available in seven languages. Vocus is based in Lanham, MD with offices in North America, Europe, and Asia. For more information please visit http://www.vocuseurope.com or call +44 (0) 20 748 16150.